The UK generates more electricity from offshore wind than any other country, with the wind energy sector providing around 5% of annual UK electricity requirements – and that’s set to double by 2020. But as demand for renewable energy gathers pace, the turbine structures that help generate it are proving a concern. The costs of maintaining them to ensure an economically useful lifespan may be significantly more than originally estimated – unless wind farm operators start to adopt more innovative design and operational methods. Enter DigiTwin, a £5m Engineering and Physical Sciences Research Council (EPSRC) funded programme led by the University of Sheffield, which aims to develop the concept of digital twins for dynamic structures such as wind turbines. By researching and developing a reliable virtual ‘twin’ of real, physical dynamic structures, it is hoped that engineers can develop more efficient and effective designs that can be tested more robustly – ultimately helping manufacturers to progress more sustainable designs that will support the sector and offshore energy generation into the future. “Wind turbines – as with other dynamic systems such as aircraft and rotors – typically operate in harsh or even extreme conditions. Think of offshore wind and many will picture the wind farms we have in the North Sea,” explains Professor David Wagg, who is leading the DigiTwin project at the University of Sheffield. “As we look at producing more renewable energy, our reliance on these dynamic structures will increase, but due to the nature of where they operate, it can be particularly difficult to design, monitor and maintain them. This is because the dynamic behaviour is very sensitive to changes in the operating environment – such as temperature or humidity – which makes it is very difficult to monitor for damage or other operational performance loss. It is also very hard to capture these effects in a computer model for effective design or asset management purposes. Although the benefits of developing digital twins has already been recognised and explored to varying degrees within the engineering sector, creating virtual models that can be highly trusted has been a significant challenge – meaning that the impact on more efficient and effective design has been limited. The DigiTwin project is aiming to overcome that challenge, with researchers working to turn the concept of a digital twin into a robustly validated technique that will both minimise and control uncertainty, with applications for the offshore wind industry and beyond. “Validation and verification – the checks and measures that ensure something is working as it should - are crucial to the development of an effective and meaningful digital twin. Without these checks, any potential efficiencies will be undermined, as will the opportunity to improve productivity,” continues Professor Wagg. The five-year research project is due to complete in 2023 and will be delivered in collaboration with the Universities of Bristol, Cambridge, Liverpool, Southampton and Swansea. It will also take advantage of the cutting-edge facilities at the new Laboratory for Verification and Validation (LVV) also based at the University of Sheffield. The project will also involve industrial input, with partners ranging from Airbus, EDF Energy, Leonardo Helicopters, LOC engineering and Romax Technology to Schlumberger, Siemens Gamesa, Siemens Turbomachinery, Stirling Dynamics and Ultra Electronics. 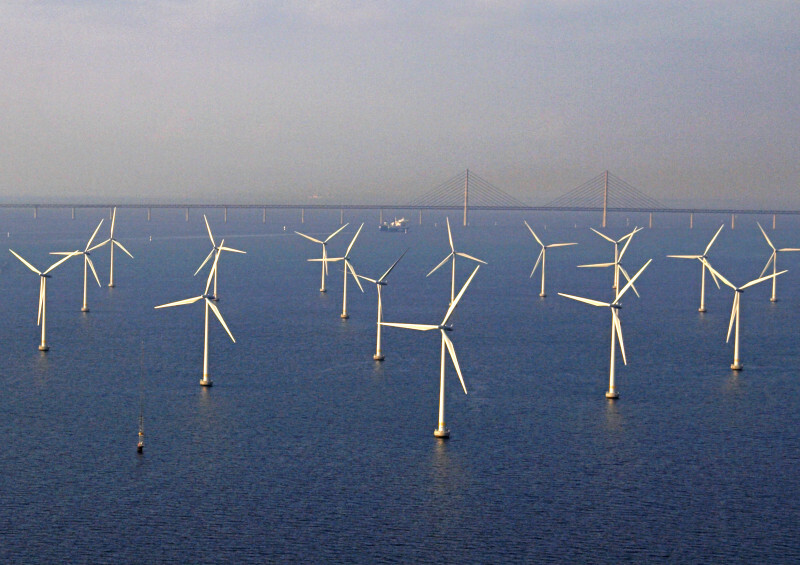 “Offshore wind is a fantastic, renewable power generation opportunity for the UK. But operation and maintenance costs are estimated to double that of nuclear, solar and onshore wind. By better understanding dynamic environments and their impact on structures such as wind turbines, we can help to create a more efficient and sustainable industry,” adds Professor Wagg. This article originally featured in the Department of Mechanical Engineering's newsletter 'MechEng News'.